Seaside, Oregon is my favorite surfing beach in the state. It is less than 90 miles from my home in Portland. It has a consistent break, usually better than most other beaches that are driving distance from Portland. Mostly the vibe at Seaside is relaxed, and the community of surfers who share the beach are welcoming to most levels. There is space for advanced surfers and novices, so long as the novices stay out of the lineup. Some locals may not want beginners here. You have been warned. I mastered the craft of Oregon surfing at this beach, logging many winter hours in the pounding surf. Only recently have I felt I belong in the lineup. Most of the surfing websites that describe Seaside Cove accurately note the hazards are rips, rocks, locals, and sharks. And the order of danger is probably in that order. In the winter, the waves can hit well over 10 to 15 feet. In the summer, because of the northwest exposure, sets can easily top five to seven feet. These scenes capture a choppy, mushy day that I mostly associate with winter and shoulder seasons, but it was mid-August. There is often little break time between the sets, and if you do not ride the rip out to the lineup, you will be pounded pretty hard. The footage, admittedly shaky, captures how rough the surf can be, with nonstop sets and overheads, even on a summer day. If you are a surfer and want to visit Oregon, put this beach on your list. Support the local economy while you are there. Share the aloha and the Oregon surfer stoke. You will find many good rides. Just be sure to bring a 5/4/3 suit. The water has very little temperature variation between summer and winter. Seaside is a small coastal community about 85 miles northwest of Portland. It is best known as one of the premier surf spots in the Northwest, thanks to the break that hugs the point that juts out into the Pacific just south of the city. The surf website Surfline boasts it offers the “best left-hand pointbreak in North America.” This of course inspires visitors and also localism that has become of the stuff of local legend. A TV news reporter once endured abuse from local bad boys, countered by an effort to counter the incident by locals. There are also stories of slashed tires of those who park near Seaside Point. I have avoided the beach for months because of the fierce localism reputation the community has earned, but could not resist coming on a day with small waves and clean sets I could see on the local beachcam. I put in at Seaside Cove, which lies just north of Seaside Point. When I arrived at around 10 a.m. on Jan. 6, 2017, clean sets with waves from 1.5 feet to 3 feet were rolling in nicely. Longboarders were popping left and right. The sun was out, and the winds were calm. It was, however, cold. My car thermometer showed 25 F when I stopped. The frigid air did not stop the 30 or more surfers I saw putting in during the next four hours. My experience proved memorable. It was the first day I caught waves the full distance from the break to the shore. I had overcome a few plateaus, but I still had to work on choosing my waves as far out as I could be. 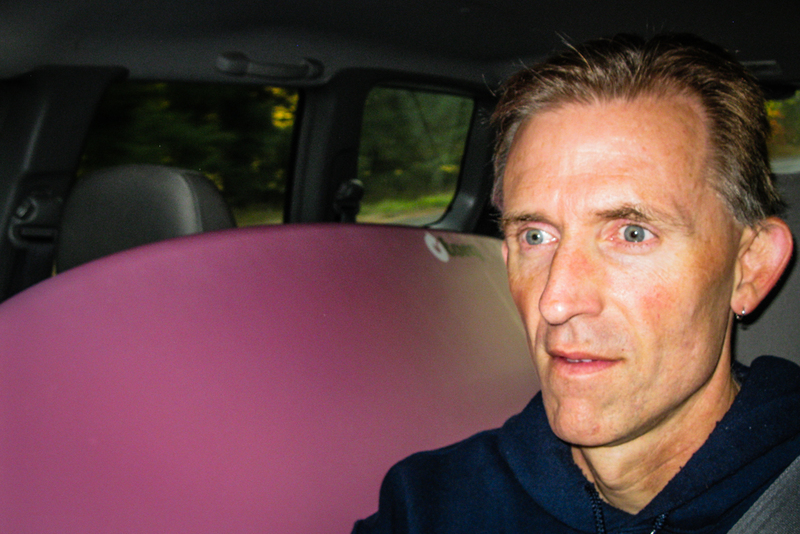 I was hampered by having a “fun board,” which is shorter than a longboard. Longboarders were able to catch the waves farther out, and I could not navigate around them to their spot. Still, it was a perfect day. The scene was mellow and friendly. Whatever reputation surfers have here did not mesh with the vibe I found. I think the perfect winter surfing day put everyone in a great mood. There were more than enough breaks and enough space for everyone, from experienced gray beards to rookies. Today, I surfed at a location called the Needles, located at Cannon Beach. This upscale coastal community is about 85 miles northwest of Portland. Most of the miles-long beach is un-surfable, offering no coves. Rock formations at the Needles offer some slightly more stable sets, but not by much. Let’s be clear. It’s rough, Northwest chop. You have to get hammered by constant waves to get to the point where they break. Today, the forecast predicted calmer waves before 10 a.m., then wind. Except for the first 30 minutes after I arrived around 8 a.m., it was all chop. That did not stop me. I donned my 5/4/3 wetsuit in 28 F temperatures and headed out with a grin. I had a lovely time. I actually caught some nice rides, riding the foam crests. I had upped my skills to a new plateau–I finally felt I had mastered a few basic moves to give me a decent ride with all of the waves I caught. Best of all, I entertained onlookers with my mediocre abilities. I don’t think they realized how warm I was in my seal suit. I hope they were amused and considered trying surfing themselves later. I had wanted to surf here for more than 33 years, since the first time I came as a college student. I finally did it. It was a great way to end the year. All that was bad was rinsed off my skin and cleaned from my spirit. I again felt renewed and ready for the challenges that await in 2017. There will be many–and today I will not think of them. Have a happy New Year and a peaceful and prosperous 2017, everyone. One type of great day happens when you pursue your passions and let your worries slip away. For me, this happens easiest when I connect with nature and tune out the crazy world. Yesterday, Sept. 16, 2016, I had one of those classic “great days.” The weather was warm, Indian summer style. The sunrise over the farms of Washington County generated warm, William Turner-esque light. A good surfing day begins with rising in darkness and knowing amazing waves and the smell of the ocean await you. The winds were mild and the surf was gentle (two- to five-foot swells) at the Oregon Coast. Indian Beach in Ecoloa State Park offered amazingly clean sets that rolled in sweetly from the Pacific Ocean. I managed to get a few more rides–slowly I am building my skills and confidence. I felt that amazing serenity that only comes with being in the ocean, smelling and tasting the salt, and feeling the power of nature as I bob like a tiny bubble. Everyone surfing that day smiled and was in a good mood. I made some nice personal connections with people who gave me some tips about the surf. Ecola State Park was as breathtaking as ever with its moss-covered semi-rain forest and coastal views. I had an absolutely perfect run after my surf at Cannon Beach. The dogs made me smile immensely. I seemed to pick up steam on the last three miles and felt stronger than I have in weeks. The 20 oz. IPA from Gigantic Brewing Company in Portland tasted better than ever. And my ratatouille tasted divine. Yeah, what a great day!